Amen. In my younger years, I was in a culture where the idea of submission was often (but not always!) skewed to the point that women were not invited to boldly speak the truth into their husband’s lives. I’ve been blessed by the things I have learned as I’ve grown older about what it means to be a woman and what submission truly looks like. It can be more complicated at times to live as an active woman, embracing submission and respect for my husband, but also honesty and accountability. Being silent and passive is easier, frankly. But the dividends of TRYING, of investing blood and sweat and tears into a marriage is worthwhile. 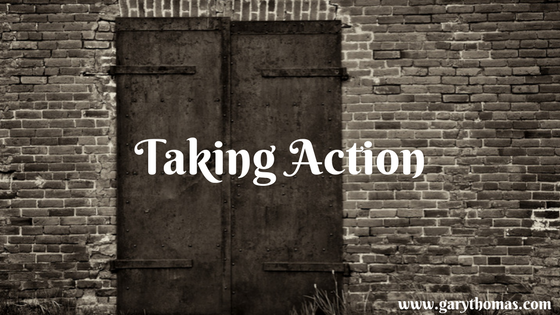 The “easy way” of passivity isn’t very easy on your heart at the end of the day. This is timely, Gary. Our marriage group that is going through your book, Cherish, just hit on some of these issues in our last meeting. It will be encouraging and challenging for the wives to read. I’m so grateful for your heart to keep listening to what God is saying to us in our marriages. It is having a profound effect producing lots of fruit at the end of those limbs. This post has some very good points. One of them being that marriage can bring apathy. I’ve been married 30+ years and can attest to the fact that apathy is exactly where I’m at. My marriage has not been the worst but is far from the happiest. My husband told me so many times that if he had it to do over he would not choose me. It was painful to hear and realize it was because we married too quickly but that is another story. Anyway over the years I have become apathetic towards my marriage and husband because I felt like no matter what I changed about myself he was always onto the next thing I needed to change. Well gee I’m never gonna show up perfect so I just gave up. Today he sees some of the things he did wrong but it is totally unmotivating to me. I have zero desire to change my marriage. Is that a wrong attitude, yes I know it is but yet I still am apathetic and without motivation to even try anymore. At what point do we take action when its not our marriage, but a sibling or an in-law that is in a terrible marriage, not physically abusive perhaps, but certainly one spouse has broken the vows to love, honor, and cherish the other? Is it always til death do us part? Do we intervene ever? Great post Gary! The part that stood out to me is not marriage related, (the part about giving up on your children). At times, I get frustrated with my daughter because I feel she is not learning at the level she should be for her age (she is going to be 8yrs old in a few mths). I just recently told myself I give up….but i’ll continue to try with her, my husband is trying as well. Thanks wonderful encouragement. Been married 30 years had always only part time husband. You are giving me the path for my change. Only thing that would be big hurdle I have never worked and no college. Nothing much too leave with and nobody else too depend on. Will work on all you have shared . I guess Trust God. For whatever happens. Thanks again for your awesome books I hope I will be able too afford all of them. Again thank you for your awesome post!!!!!!!! I love this! 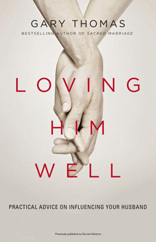 I’ve purchased and began your newest book “Llving Him Well.” I’ve only completed chapter 1, but it was great to read that my identity is in Christ, not my marriage or my husband. I’ll be interested to see what you have to say about the “Proverbs 31” woman. A lot of women look at her as “unreachable” expectations. I look at her and admire the way she works, and takes care of her household. This is who God calls “the excellent woman.” Why would we look at her with anything but admiration? I had spent 3 weeks reading proverbs 31 each day and applying one thing to a practical use. I started making my bed everyday. Not because I like it made, I couldn’t care less. But because my husband likes the bed made each day. So, when he’s in the shower, I take a few minutes and make the bed. It brings him a bit of joy, and he always thanks me before he leaves for work. Thank you Mr. Thomas for these blogs. They serve as good reminders for me! Excellent!!! What I’m seeing is that hurting spouses want to get out of the marriage too quickly. It takes time to rebuild a broken marriage brick by brick and so many want the drive-thru version, quick and fast fixes. It’s understandable when there is a lot of pain, but covenant love requires more than the drive-thru mentality. You are so right that fixes start with understanding who we are in Christ and who Christ should be to us. My most favorite thought here is that your hurting marriage… “may well be God’s vehicle for you to become the strong woman he created you to be.” Yes! Boldness and bravery to confront with kindness is a gift of discernment. Thank you for this, Gary!